Images Danny Broersen. The Formula 16 is consolidating as The feeder class and also an excellent modern H16 mixed alternative, that is why I've been saying for a while that Hobie needs to launch theirs. A Mixed Youth, Van Schoote-Hendrick, dominated this event with 5 bullets. 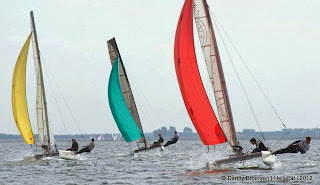 -- Report sent by Pim Hagenaar - Growing number of participants at F16 Open Dutch Nats Championships. On September 21 and 22 the F16 Open Dutch National Championships were sailed at Hellevoetsluis in Netherlands. 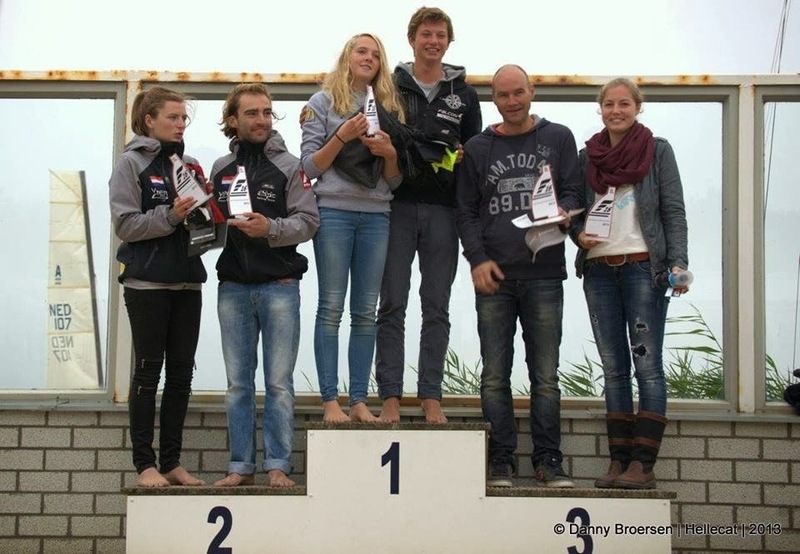 With 19 boats (more than twice as many as last year) the number of participants was far beyond expectations and formed the largest F16 fleet in the Netherlands (up till today). This clearly shows that the F16 class is growing. With the class aiming at the lighter adult and youth teams it was noticed that many ex “hobie Dragoon” Youth teams had moved into the F16 class. 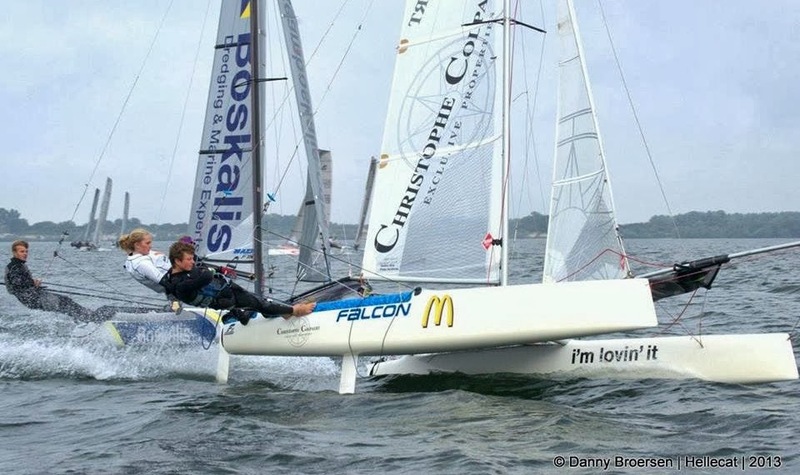 Hellecat has announced to start training sessions for the F16 class in October aiming at the racing cat sailors. For more information please mail to formula16nl@gmail.com"